Come to the next Dot Net Startup meetup, connect with other entrepreneurs and technologists enthusiasts of the intersection of the .NET platform and startup, and listen to Scott Guthrie talk about ASP.NET MVC 4, Web API and the recent announcement from Microsoft on making many components Open Source and what it means. 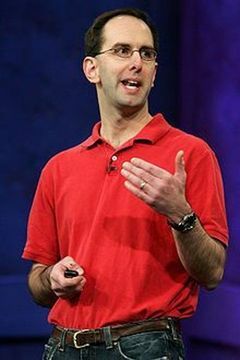 Scott Guthrie is a corporate vice president in Microsoft's Server and Tools Business division, where he is responsible for delivering the development platform for Windows Azure, as well as the .NET Framework and Visual Studio technologies used in building Web and server applications. A founding member of the .NET project, Guthrie has played a key role in the Microsoft developer space since 1998. Today, Guthrie manages the development teams that build the developer platform for Windows Azure, IIS, ASP.NET, WCF, EF, BizTalk Server, WF and the Web, and Web Service and Workflow features of Visual Studio. Guthrie graduated with a degree in computer science from Duke University.